The teams have identical 57-54 records after splitting the first two games, including St. Louis' 8-4 victory Saturday. On Sunday, St. Louis right-hander Jack Flaherty (4-6, 3.49 ERA) is scheduled to face Pirates right-hander Trevor Williams (9-7, 3.89). St. Louis has smacked around Pittsburgh pitching in the series, combining for 14 runs and 29 hits in two games. In particular, the Pirates could use some distance from Williams. In the last three games, the starters have lasted one, 4 1/3 and four innings. [post_ads]Williams carries a streak of 17 innings without allowing a run into the series finale and has been the starter in six of Pittsburgh's 12 shutout wins. In his most recent start, a 5-0 win on July 28 over the New York Mets and their ace, Jacob deGrom, Williams gave up five hits in six innings with five strikeouts and three walks. Williams has beaten deGrom and reigning American League Cy Young Award winner Corey Kluber in successive starts. "It's fun two starts in a row, seeing two aces," Williams said. "It's just fun to pitch in those games. ... I know that if they get one run across, it could very well be the one that beats us." Against St. Louis, Williams is 2-3 with a 7.44 ERA in nine career appearances (six starts). This season, he is 1-1 in three starts. Flaherty is not in the same category as deGrom or Kluber, but he is a familiar opponent for Williams. This will be Flaherty's fourth career start against the Pirates (1-1, 3.94 ERA), and each of his first three have come with Williams starting. 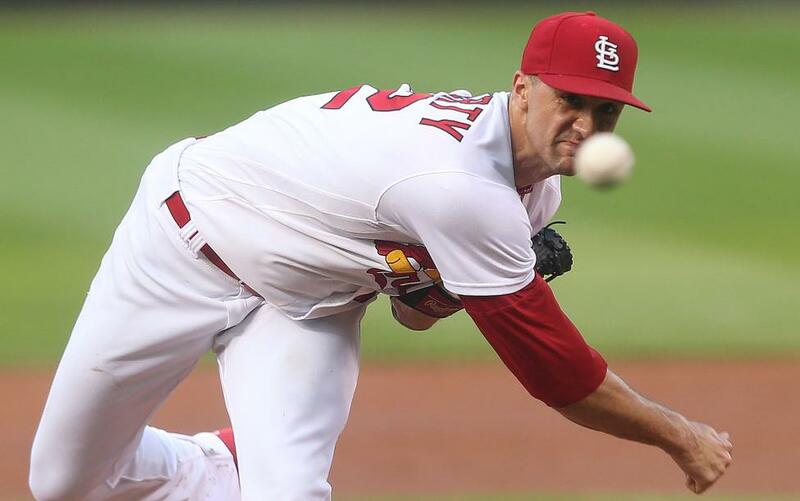 In his most recent start on Tuesday against Colorado, Flaherty gave up four runs and five hits in 5 1/3 innings with seven strikeouts and two walks in a 6-3 loss. Six of his eight runs allowed in his past three starts have been on home runs. In his past five outings, he has averaged 19 pitches an inning and has not made it through six innings. "With all of us young guys here, it's that point in the season where, for most of us who have been here long enough and experienced it, it's time for us to stop playing like rookies and really take ownership of what's going on," Flaherty said. "We shouldn't expect to go out and be OK, but to go out and dominate. Take ownership of really wanting this. We're not done yet, by any means." Both clubs have had some lineup turnover. The Cardinals activated second baseman Kolten Wong (knee) from the 10-day disabled list and he started Saturday, going 3-for-5 with an RBI. They also placed outfielder Dexter Fowler on the 10-day DL because of a broken left foot suffered Friday. In addition, St. Louis outfielder Tyler O'Neill was a late lineup scratch Saturday because of groin discomfort. Pittsburgh left fielder Corey Dickerson (left hamstring) was activated from the disabled list but did not start Saturday, flying out in a pinch-hit appearance.